Right click the brush shortcut you want to export. 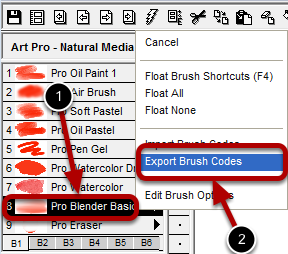 Select Export Brush Codes from the popup menu. 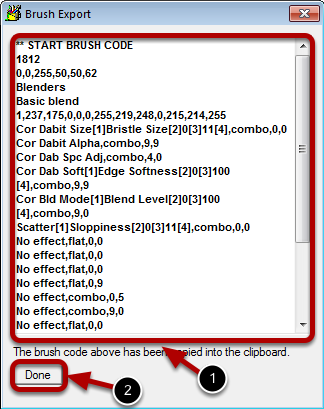 The brush codes for the selected brush are automatically placed in this area and automatically copied to the Windows clipboard. Click the Done button. You are now ready to paste the brush codes into a forum post, email or any place that accepts text.